1. SLIP HARNESS OVER DOG’S HEAD AND ADJUST BELLY STRAP TO PROPER FIT. IF THE BELLY STRAP DOES NOT FIT MOVE TO THE NEXT SIZE. 2. 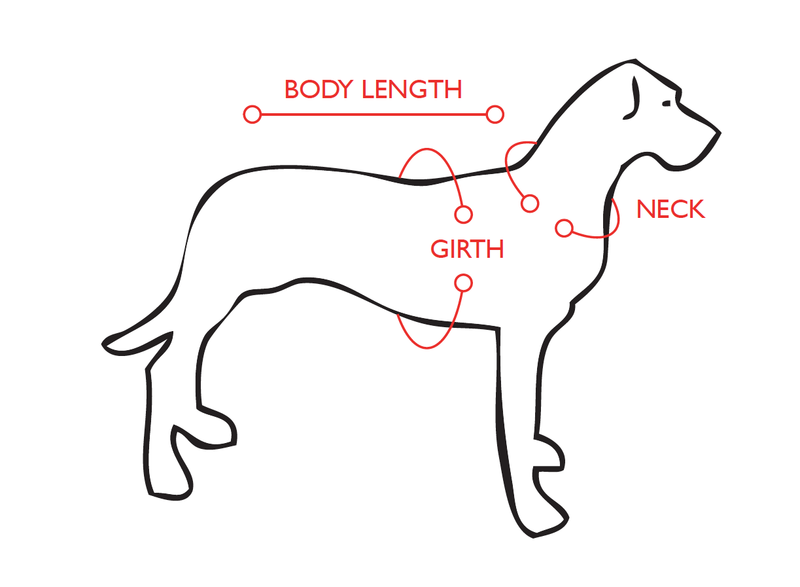 ONCE THE BELLY STRAP FITS, TAKE THE HARNESS OFF YOUR DOG TO ADJUST THE ONE TIME CHEST ADJUSTMENT, IF NEEDED. SLIDE THE NEOPRENE SLEEVE TO ONE SIDE AND ADJUST THE SANDWICH VELCRO. THE RED SAFETY PATCH IN VELCRO MUST BE HIDDEN. 4. IF THE BELLY STRAP FITS, BUT THE CHEST STRAP DOES NOT, CONSIDER THE CHEST PLATE HARNESS AS AN ALTERNATIVE. IMPORTANT: STRAPS SHOULD FIT SNUG WITH THE ABILITY TO SQUEEZE 2 FINGERS UNDER WEBBING.